•Made of durable 420 food-grade stainless steel. •Features a Renthal inspired MX grip for handle. 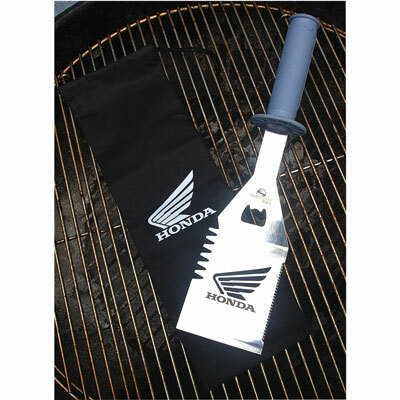 •Laser engraved Honda logo on spatula face. •Includes bottle opener and a side blade.